As part of the 2014 hennemusic Rock News Awards, the site is counting down the Top 10 Rock News stories of the past year. Finalists for the 5th annual hennemusic Rock News Awards are chosen by readers: winners are determined by the combined total page views of the top 50 hennemusic rock news stories of the past twelve months. The 2014 hennemusic Rock News Awards winners will be announced on Thursday, January 15. Motley Crue bassist Nikki Sixx sold his house in Calabasas, California in September for $2.409 million. Sixx and new wife, model Courtney Bingham, put the property on the market after buying an expansive mansion in Westlake Village for $4.125 million. Check out the No. 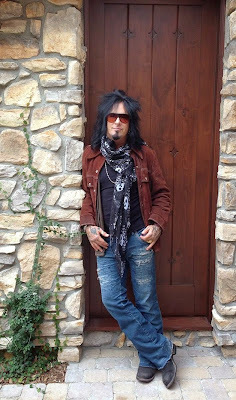 6 hennemusic story of 2014 on MOTLEY CRUE here.